Gum tissues in your mouth have a dual job, just like your teeth. They are important for both form and function. Cosmetically, gums frame your smile. They also have the purpose of protecting your teeth from germs. Periodontal disease affects about 80% of the American adult population, so gum care still has a way to go. Celina dentist, Dr. Angela Ganjoor, wants you to get to know your gums a little bit better. Gingival tissues aren’t only below the crowns of teeth. 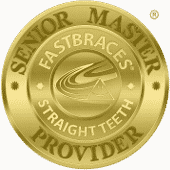 They line your entire mouth, thereby creating a seal so that the roots of your teeth will not be exposed to dangers. These tissues are soft, pliant, and tough. Your gums line jawbone. What should healthy gums looks like? Think a nice coral pink hue. However, try to pay attention to what your gums normally look like. Dr. Ganjoor will do the same. This is the best way to notice any red flags such as abnormal color, inflammation, or bleeding. Those changes could result from gum disease, or possibly worse issues such as oral/pharyngeal cancer. This is why your biannual checkups are so important. Brushing your teeth twice daily and visiting the dentist every six months for dental cleanings and checkups are the ticket to maintaining healthy gums. Plaque buildup at the gumline is filled with pesky bacteria. When these germs irritate and inflame the gingival tissues, gingivitis (early gum disease) is a likely outcome. Without treatment, periodontitis (severe gum disease) will eventually come to pass. Severe gum disease is very unpleasant and includes likely gum recession and periodontal pockets. Loose teeth, extractions, or teeth falling out are often the final result when periodontal disease is not treated. The condition is not completely curable, but treatment and diligent dental self-care will stop early gum disease from transitioning to a more sever condition. Visit your Celina dentist for any of your comprehensive dentistry needs. To schedule an appointment with our 75009 dental office call (214) 851-0130 today. Located in Celina, we proudly serve patients from Prosper, Frisco, Allen, and neighboring communities.